Dovecot Studios has launched a brand new Group Visit offer. This provides an opportunity to explore this landmark centre for contemporary art, craft and design which is built around a leading international tapestry studio. Group Visits include educational trips, guided tours and special rates for exhibition tickets. Simply contact the venue with your proposed date, time, party size and what type of visit you would like to book. Group Visits are subject to availability and must be booked in advance. 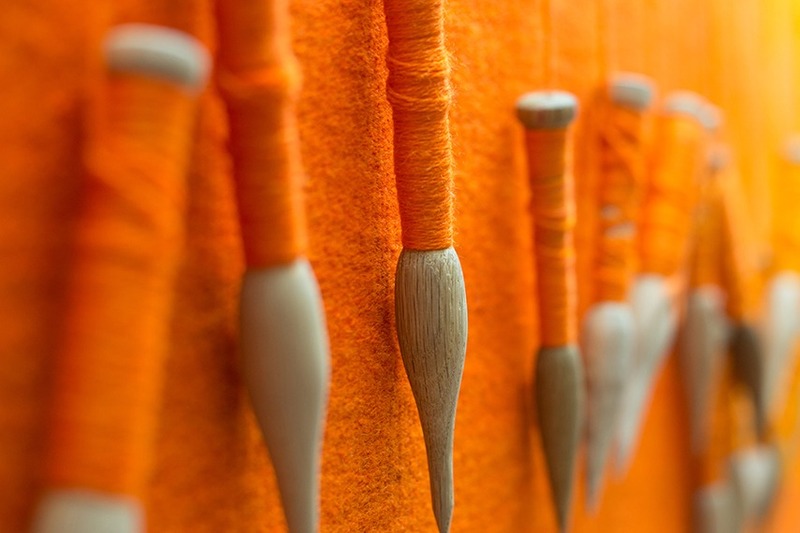 Ideal for groups who want a more in-depth understanding of Dovecot’s current exhibition. A member of the Dovecot team will lead you through the exhibition to help you to discover more about the work. Led by one of Dovecot Studio’s Weavers, you will gain an unparalleled insight into Dovecot’s history and the weaver’s own experience. Held on our Tapestry Studio Viewing Balcony, this tour provides the opportunity to see a working tapestry studio and ask questions in real time. These tours are only at 1pm on weekdays. An extensive tour that includes a 30 minute guided tour of the current exhibition, followed by a tour of the Tapestry Studio Viewing Balcony, culminating with a Q&A session with a member of the Dovecot Team. Ideal for students of fine art, design, or arts management. To book your group visit or start planning your own unique event, please complete an enquiry form.